Many ceiling fan light kits also have lamp shades that attach to it. Sometimes what can occur is, one of the shades that is attached to the light kit unfourtunately get smashed or broken. This happens moreso if you have children running around the house playing. Not to blame it on the kids - it's just a commonplace occurence, if you know what we mean. You might have even broken or chipped a shade while you were moving furniture - it's understable. Hey, it's life. These things can and will happen. Some of the top glass shades people look for include glass replacement shades for Hunter, Casablanca, and Westinghouse ceiling fans. We have attempted to post as many glass shade replacements for different manufacturers that we have been able to find. As always, we love to hear from you. If there is a specific light kit or replacement shade that you're after, feel free to let us know by filling out the contact form. We'll do our best to find the shade that you are looking for and get it posted to our website ASAP. Part Number : G31. Color: Tiffany Mission. Material: Glass Shades. Voltage: 120 volts. Accent your fan with your choice of glass for just the look you want. 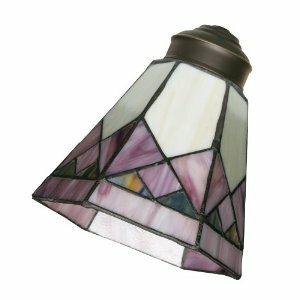 Choose from elegant, hand-cut lead crystal or a variety of exquisite frosted, clear, and patterned glass. All glass is packaged and sold in sets of four. For use with Emerson ceiling fan and fitters. Ceiling Fan Glass Shade. Frosted Rib Glass. For Use with 2 1/4" filters. 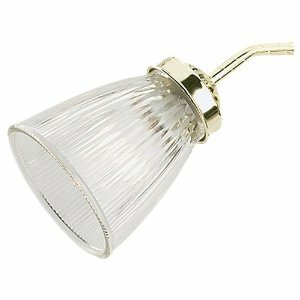 Sea Gull Lighting's Decorative Clear Ribbed Glass fits beautifully with the three, four, or five bulb light kits to create a custom ceiling fan fixture that suits your needs and style. It's Your Home, It's Your Style. Let Sea Gull Lighting help define your space. Broan bathroom ceiling fan and light with glass shade. 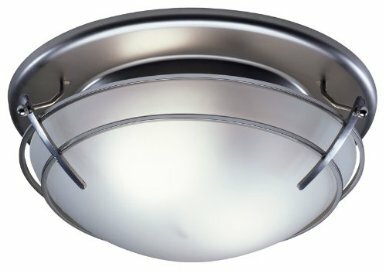 Shade is satin nickel finished, modern style design, part number 757SN, product dimensions 5.8 x 8.2 x 8 inches. This takes two candelabra-base incandescent light bulbs using 60 watts each. An energy star rating product which helps you reduce your electricity bills. 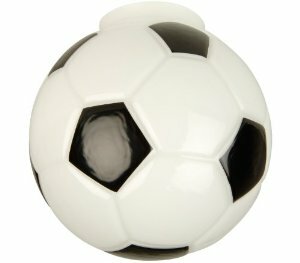 Craftman fan light fitter in soccer ball globe design is a glass fitting with 120 volts power, 406 part number, 8 x 8 x 9 inches product dimensions, and exactly fits for 4" fitters. The unique design of the light fitting gives an awesome look for your room and can be a beautiful ceiling fan accessory for your children room. A very beautiful accessory for a little girl's rrom in your home as its pink colored crystal chandelier is the best choice for its color and even appearance. This fits with three bulbs and can be arranged in both the ways like it can be directly swung to the ceiling or can be fitted to your ceiling fan as an accessory also. The product includes a chain and a cover plate for hanging. Part number of the product is cchapl004 and product dimensions are 8 x 8 x 12 inches. This is a UL listed product.